Tuesday, 22 January 2019, 5:56p.m. An Australian bar has been accused of "mocking Māori culture" after producing an advertisement featuring a deceased politician with a tā moko. 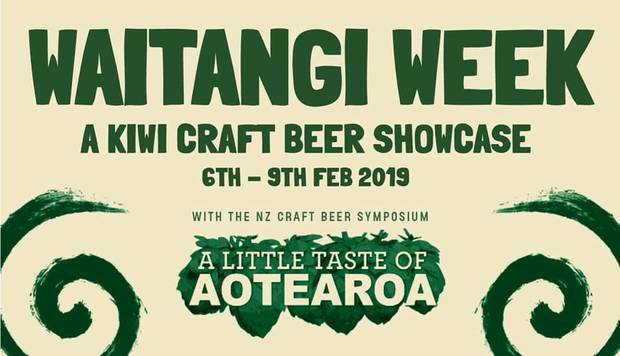 As part of advertising for a "Waitangi Week" showcase of Kiwi craft beer Melbourne bar Freddie Wimpoles drew a tā moko and Māori cloak on a picture of its namesake, a former St Kilda mayor and publican. Wellington beer education business Craft Beer College co-founder Stephanie Coutts said she contacted the pub about the advertisement last week saying tā moko were unique to individuals, and using them in advertising was "disrespectful" and "mocking Māori culture". "It is also offensive to have tā moko or any aspect of the head associated with food and beverages, more so when associated with alcohol." She also contacted another Australian pub using Māori culture in advertising for a Waitangi event, which immediately took its ad down and issued a public apology. Having received no response from Freddie Wimpoles, Coutts took to social media raise awareness. Yesterday the pub changed the image on its event page, removing the offending image. General manager Scott McKay told the Herald they apologised for the use of the tā moko. "Our intention was never to offend but rather celebrate." After the issue was brought up they engaged their graphic designer "straight away" to change the image. "I am a Kiwi myself and am only trying to bring the best of Aotearoa to Australia." Māori cultural advisor Karaitiana Taiuru said tā moko were designed specifically for an individual's genealogy and life achievements, and could not be used in advertising. "You can't just take one and put one on someone else. Then putting that image onto a dead person, and onto an advertisement for alcoholic beverages, breaches quite a few protocols. "Māori didn't have alcohol, and statistics speak quite clearly about the intergenerational damage alcohol has done since it was introduced. "It is also customary practice you don't associate the dead with the living, and dead with food." Taiuru said he had contacted 10 beer companies over the past few years, many based in Europe and the United Kingdom, that had used Māori culture in their advertising, nine of which had removed the branding. "Some immediately withdrew, while others took their time until media picked up on it." Belgium-based Brussels Beer Project apologised this year over a pale ale it dubbed "Māori Tears". Coutts said the overseas trend of using Māori in branding could be a result of growing awareness of New Zealand beer industry. "Our brewing ingredients, malt and hops, and beer are being internationally recognised. "It is a great thing, but what hasn't gained recognition is Māori are people, not a cartoon character to be used for marketing. "Their culture belongs them. At best its use is ill-informed, and at worst racist." Cultural appropriation was not exclusive to the beer industry though, with appropriation becoming so common some people did not notice it, Coutts said. This year Fonterra came under fire for one of its cheeses named after a famous Māori ancestor of the Kapiti area Tuteremoana. "Elements of Māori culture and taonga are appropriated so often people don't realise they are sacred, it becomes the norm," Coutts said. "In the New Zealand beer community we are happy to stand up and take a stance about these things. "The interesting thing is I am white, and Australian, I am not an expert, but I have seen commentary from Māori talking about these issues, about culture, taonga and concerns it is being appropriated. There needs to be a willingness to learn. "As someone who is white, and descended from a country that colonised Māori, I feel like I have a responsibility. Being silent on these issues is giving consent." With Waitangi Day coming up Coutts said there could be further potential issues and she was working with Taiuru and the Brewers Guild of New Zealand to produce guidelines to distribute to bars and brewers.